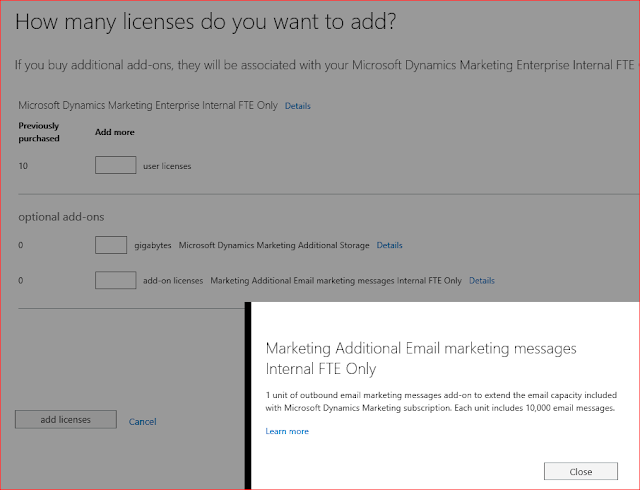 This is my first post on Dynamics Marketing and I would like to address the quotas and limits for email marketing. While this is critical for customers to know, let me also introduce you to the buying process and how to set up Microsoft Dynamics Marketing. For paid instance : Monthly quota in 50k emails / month and daily quota is half of your monthly quota. Which means you can send 25k emails on a day. Additional email quota : can be bought in multiples of 10k emails / month.